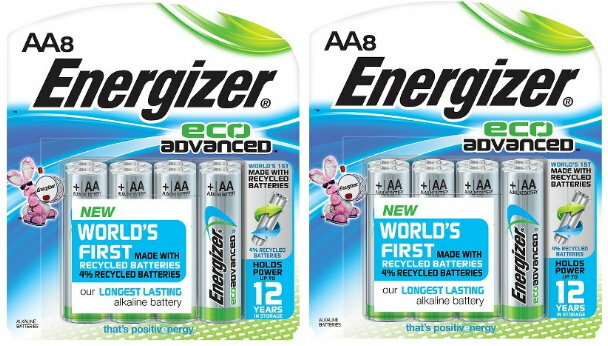 While supplies last, Target.com has the Energizer Eco Advanced 8 packs of AA Batteries on clearance for $3.54, regularly $7.99. This item will only ship with orders of $25 or more, but you can choose FREE ship to store. And as always, if you have a REDcard you will get FREE shipping with no minimum and an additional 5% Off.